Spruce Up provides an individualized shopping experience for home furnishings and decor to help you find just the right items that bring you joy. We strive to provide the highest-quality recommendations so you can create a home that’s uniquely you. 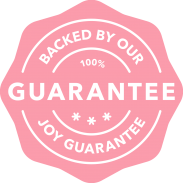 That's why we offer a 100% Joy Guarantee, so you can try Spruce Up with confidence. A Spruce Up is a hand-curated mini-boutique of 12 items for one specific space in your home, created by your personal home styling expert who strives to create a unique selection to match your space, budgets and needs. Provide item-level feedback on the products to tell them what you love or what doesn't quite jazz with you. Based on your feedback, your stylist will finalize the curation of your Spruce Up by the next business day. We aim to curate a Spruce Up that is uniquely you - with at least 50% of the items being something you truly LOVE. All our stylist are vetted interior designers who are not compensated via sales commissions, but rather are focused on fulfilling your individual needs and providing the highest value for your money. Their success is measured by the relevance and delight of the individualized recommendations, the quality of their service, and your happiness with the overall Spruce Up experience. The $25 styling fee you pay at the start of your Spruce Up is credited towards any purchase within 30 days of receiving your final Spruce Up. If your designer isn’t quite ‘getting you,’ we will match you with a new designer to start fresh. We know we have a perfect match for you, let us know via email at support@getspruceup.com what type of designer would be a good fit! If you STILL don’t love ANY of the items we recommend we will refund the $25 styling fee. Simply email support@getspruceup.com to request the refund. We curate the highest quality & best value items from 70+ hand-selected brands and retailers from the well-known to the unique and hard to find. Our style prediction algorithms scout from over 25,000 products to find just the right ones that that fit your unique style profile. We strive to show you products that are 100% relevant to your preferences in style, budget and your unique lifestyle. Being you is the best style! You remain in charge as the Chief Interior Design Officer of your home that should be uniquely you. Buy what brings you joy - with best price guarantee and free returns guaranteed! Your home - Your Soul. Share your Spruce Up Joy with before & after photos and tag us on instagram with #getspruceup and #momentsofjoy. Share Spruce Up with your friends who love creating a delightful, unique home full of joy. By referring Spruce Up, you gift each friend $50 of Spruce Up joy towards their first purchase while you also earn $50 for your next coveted thing. We encourage you to refine your style quiz, chat with your stylist, give item level feedback, and (maybe most importantly) have a lot of fun creating a beautiful home that is all you!